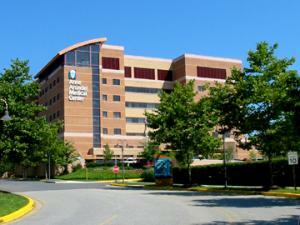 Anne Arundel Medical Center (AAMC) recently opened its Acute Care of the Elderly (ACE) unit. The ACE unit offers a specialized model of care for older, hospitalized patients with acute illness. The 30-bed unit is one of 13 in Maryland. AAMC was awarded the Nurses Improving Care for Healthsystem Elders (NICHE) facility designation in December 2012 as they prepared for the ACE unit opening. The national NICHE organization strives to improve the quality of care for hospitalized older adults, provides evidence-based geriatric protocols and geriatric education for hospital staff members so they are better equipped to care for older adults. NICHE is the largest geriatric nursing program available in the United States, with nearly 300 participating hospitals. “Geriatric patients face a variety of health risks. This model of care has proven that focusing on the unique needs of the elderly enhances clinical outcomes during and following hospital admission,” says Sherry Perkins, PhD, RN, AAMC’s chief operating officer and chief nursing officer. Patients admitted to the ACE unit will be seen by their attending physician and will receive consults from members of a special team that includes a geriatrician or geriatric nurse practitioner, dietitian, pharmacist, social worker, case manager, physical therapist, spiritual care, as well as auxiliary volunteers. Patient-and-family advisors will be active participants in the patients’ care plan, providing guidance to team members. Under the direction of this team, ACE patients will be gently pushed to maintain their strength and routine from the time they are admitted until their discharge.